Game Ready can set your practice apart, providing an evidenced based method to a better and faster post-op recovery with less pain and less narcotics. Enhance your reputation by offering the same technology used by the world’s leading athletes, bringing in new patients and building on orthopaedic referrals. Integrate Game Ready into your treatment and generate new revenue for your practice. Game Ready rental is approved in most cases under eligible Workers Compensation claims. A typical Game Ready set-up costs from $5,000 (including unit with bag, ankle and knee wrap) or can be financed from $99 per week. 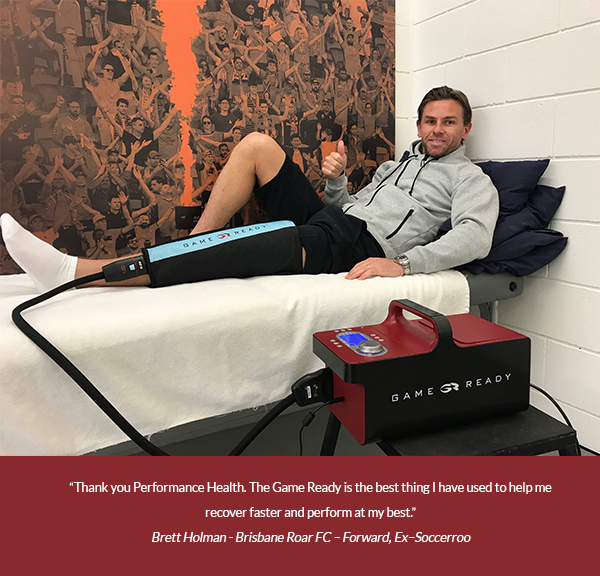 If you would like a FREE Game Ready Trial in your Practice, email your details to sales@performhealth.com.au and we’ll get you set up. This offer is available to Private Practice clinics with a Performance Health Account.